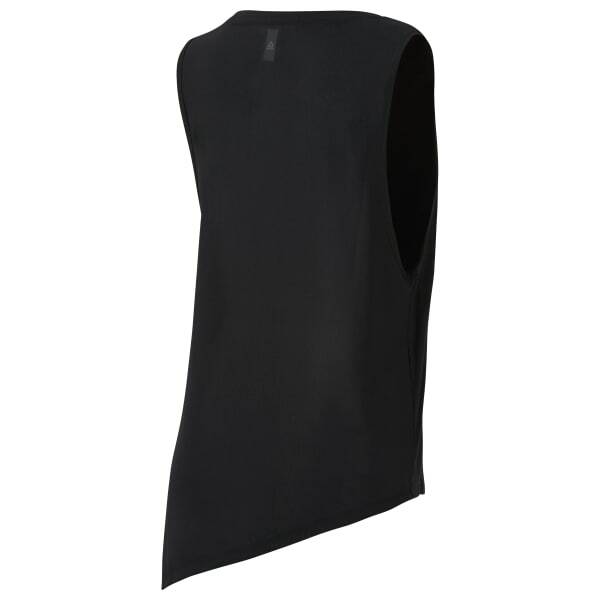 Knotted or left loose, the asymmetrical hem and side slit of this muscle tank offers a customizable option to choose how to wear it. The modern silhouette is designed in lightweight knit with Speedwick moisture management technology. Mesh back paneling adds breathability and style.